After the Senate panel yesterday discussing online poker and casino gaming in the state of Pennsylvania, we have now learned that the option is at least nine months to a year away. During the meeting, testimony by officials of the state shed light on the progress of Pennsylvania when it comes to legalizing online gambling. According to the Executive Director of the Gaming Control Board of Pennsylvania, Kevin O’Toole, online gaming is still nine to twelve months for game play to begin online if the General Assembly authorizes the option. Before players will have access a number of things must be done to get to that point, according to O’Toole’s statements during the hearing. 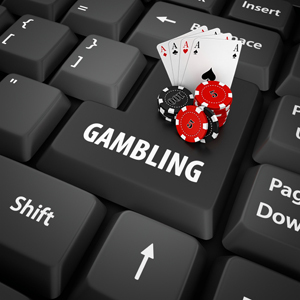 O’Toole was asked as to if online gambling could create revenues for the state and after observing the experience in New Jersey, O’Toole says that the data suggests that it can be challenging to get players away from the illegal gambling sites to enjoy the permitted options. The process will be gradual and expectations should not be high, according to O’Toole, at roll-out but it should be expected for the revenues to improve over time. Two members of committee showed concern towards the existing casinos in the state if online gambling is introduced. The Director of Programs for Compulsive and Problem Gambling of the Gaming Control Board warned during the hearing that online gaming would be creating an opportunity for more individuals to become addicted to gaming. Once the hearing was concluded, State Senator Kim Ward, stated that there is a significant interest in the state to regulate online gambling, however, she does not expect legislation for gaming to be ready by June 30th, which is the end of the fiscal year in Pennsylvania and the deadline for the 2016 budget. Ward stated further that right now the Senate is working on the budget but it does not include any money from gaming, including online or off-track betting, new gaming options or ideas.